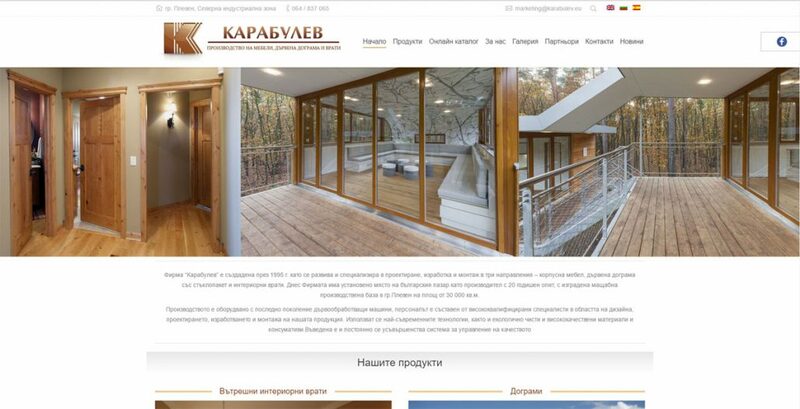 Karabulev | Moven Soft - Web design, SEO optimization. 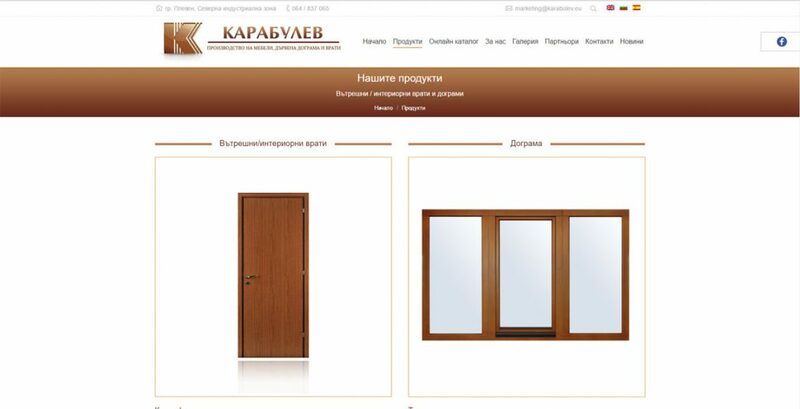 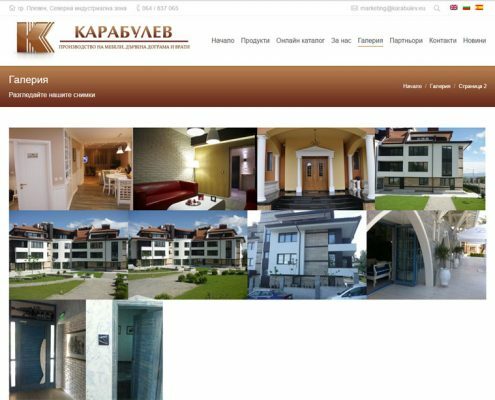 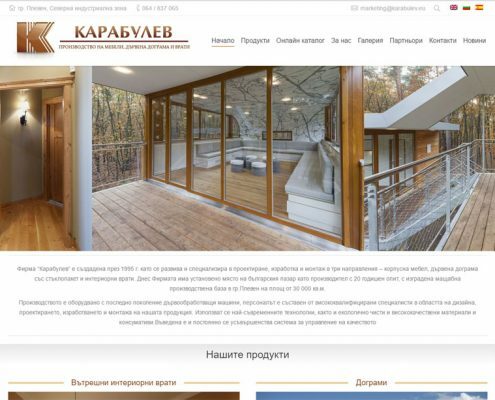 The company “Karabulev” was founded in 1995 with main activity: production of doors and windows of solid wood. 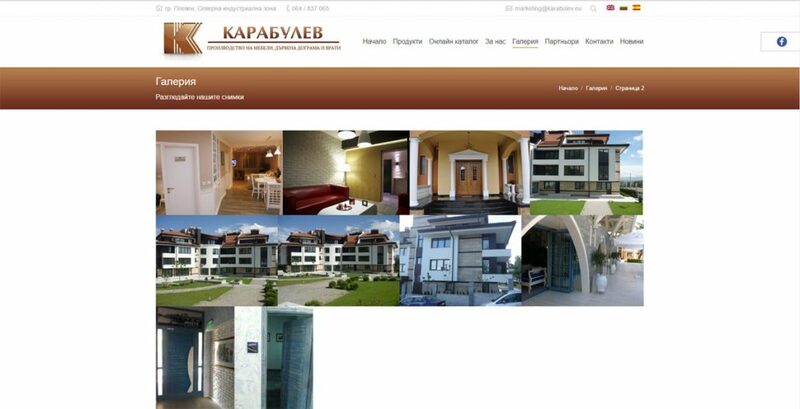 The production base is located in Pleven and is equipped with modern advanced technology. 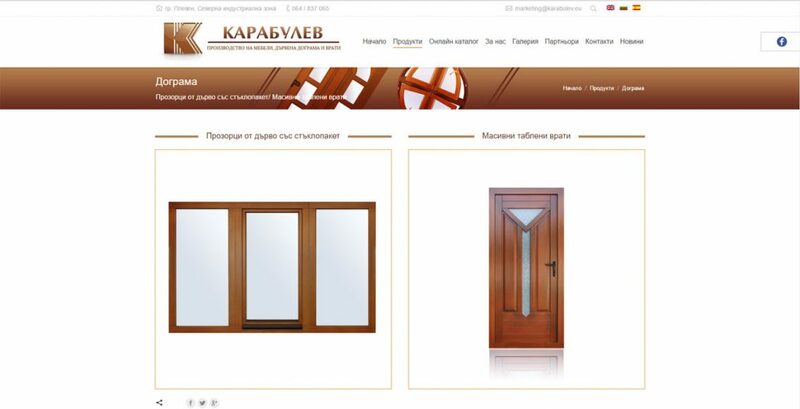 The trade activity is carried out by the office of “Karabulev” factory in Pleven and companies representatives in Sofia, Burgas, Varna, Veliko Tarnovo and Ruse. 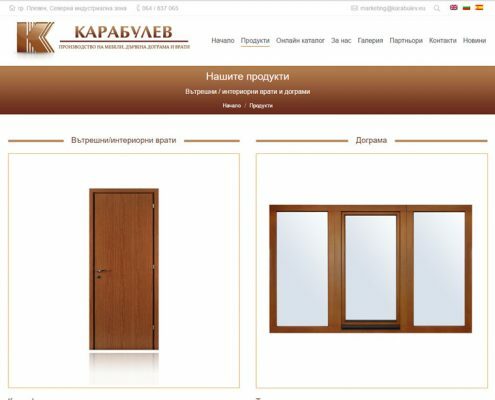 In these cities are equipped offices to meet clients with showrooms. 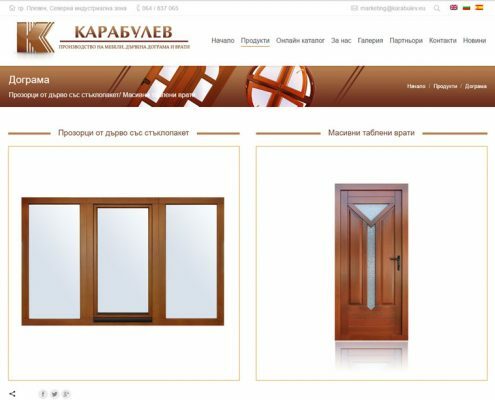 They offer only products made by the company.